All good things must come to an end and sadly, video games aren’t immune to the passing of time. Dark Souls III‘s Ringed City DLC is out next week, but with it comes equal amounts excitement and sadness. 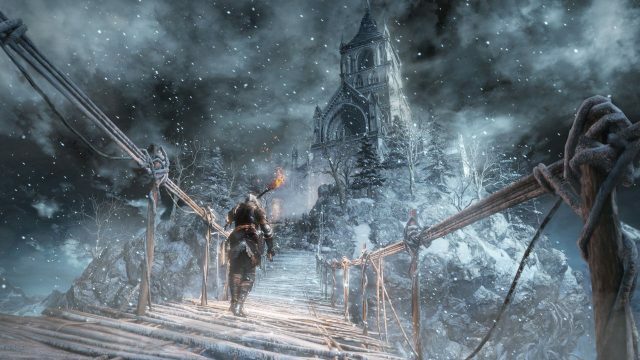 The follow-up to last year’s Ashes of Ariandel DLC is to be the final add-on for From Software’s sequel and perhaps even the last Souls-related content we’ll ever get if series creator Hidetaka Miyazaki’s past comments are anything to go by. Thankfully, however, today’s launch trailer for Ringed City strongly suggests that it will be a fitting send-off for the series. Much of what’s shown in the trailer has been seen before by way of previous previews, but there are a few tidbits we’ve not been privy to before, including that, narratively speaking, Ringed City will have ties to Ashes of Ariandel in some form or fashion. As is usually the case with anything Souls related, specific details remain intentionally vague in order to allow players the opportunity to uncover the lore themselves, but it appears as if the girl we met in Ashes still has a significant role to play before the world ends. Other spoiler-heavy teasers include the presence of a statue that appears to depict the original Dark Souls‘ final boss Gwyn. The Lord of Sunlight (or Cinder) himself plays an integral role in the wider series’ lore, so it’ll be interesting to see the significance of his likeness being included in Ringed City. One final glimpse of what is presumably a new boss appears at the trailer’s end. It’s a dragon and it spews forth flames of a distinct black color. Could this be the Abyss Dragon referenced in Ashes? It’s looking rather likely. Expect to find some more definite answers to those questions on March 28, when Ringed City launches for Xbox One, PlayStation 4 and PC. Oh and don’t forget that a separate patch that adds new PvP maps and modes is due to go live today. See here for all the details.